Youth Sing Praise is excited to premier a new musical, Just Pretend on Sat., June 27, 2015. Performing as ever at the Outdoor Amphitheatre at the National Shrine of Our Lady of the Snows, YSP cast will perform this full-length faith-based musical with full costumes and set, a 9-piece orchestra, and amazing talented and dedicated teens from across the country. The FREE 7:00pm performance will welcome the Metro-St Louis community to a quality show with space accommodating 2,400 seated guests (and room for many more on the hillsides of the natural amphitheatre space). As a free theatre event, this is ideal for church and youth groups, community groups, families, neighbors and friends! Be sure to invite friends and share the event through social media! The facebook event is here. Just Pretend features a contemporary score and a show-within-a-show concept as we follow the final rehearsal of a teen musical theater production based on the book of Esther. Though this tale is several millennia old, those of the Jewish faith tell Esther’s story annually on the feast of Purim. A Jewish girl who rises to become Queen of Persia, Esther’s faith saves her people. Can the modern-day players who tell her story find the same faith? Orin Johnson (music, additional lyrics) – Orin has been a musician nearly his whole life. Among many positions, he is the full-time director of music ministries at Sts. Joachim and Ann Catholic Church in suburban St. Louis. He has been involved with Youth Sing Praise, for whom “Just Pretend” is written, since 1999, as assistant musical director and prayer coordinator, and as music director since 2014. YSP is proud of Orin’s many musical accomplishments. His liturgical music has been published with GIA Publications and World Library Publications, and he sings and acts as Assistant Conductor for the St. Louis Chamber Chorus. He does not have as nice a head shot as Brad. For much more about Orin, visit his personal website at orinjohnson.com. Bradley J. Behrmann (lyrics, book, additional music) – A native of Belleville, IL, Bradley is equal parts artist and educator. 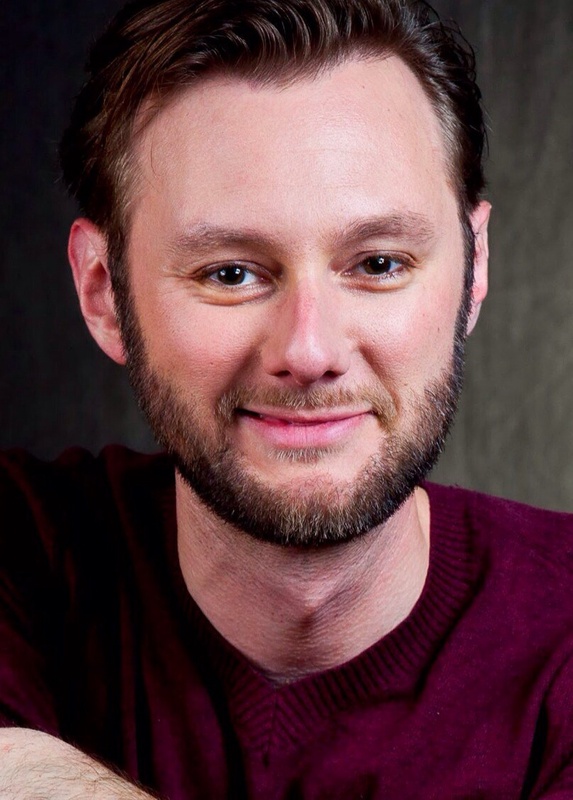 A former high school music director and St. Louis actor, he now attends the prestigious MFA program at San Diego State University in pursuit of his MFA in Musical Theatre. He has been involved with Youth Sing Praise as a participant 1996-1999 (“Four years!”), in many roles on theatrical and youth ministry staff, and also as a member of the board of directors. He has been pleased to serve as theatrical director for the past four productions and also as Artistic Director. Though he does have a nicer head shot than Orin, he lacks Orin’s charm and charisma. Visit Brad’s webpage, or his blog on musical theatre musings here. Next YSP needs your support!